Block Lamp is simple design but it’s effective too. It’s just one of those things that look normal but make big impression when the time comes. 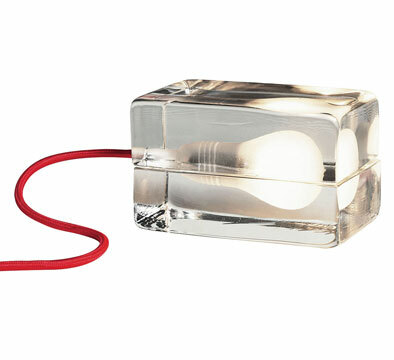 Two heavy hand-cast glass blocks enclose the bulb, it can be placed on center tables, floor or side tables to provide ecstatic and ambient feel to lighting. It can encase up-to 25-watt candelabra bulb. It is available at MoMa Store for $110 and $88 for members. Pendulum Clock made with of Bicycle Parts?